San Diego goes full circle: the world’s first digital CDMA mobile phone, which we designed for Qualcomm 20 years ago, turned up in an ecoATM mobile device recycling kiosk. 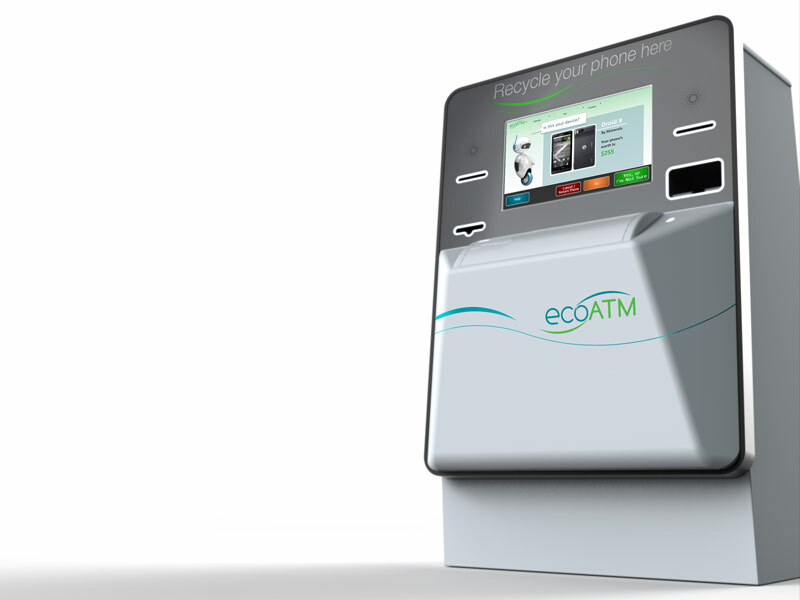 The ecoATM kiosk was designed to solve the problem of disposal for used consumer mobile devices. Today’s mobile users upgrade their phones every 12 to 24 months which means they need a safe, convenient, environmentally responsible way to get rid of their old ones. In 2014 it was estimated that there were 396 million inactive phones in the US alone and 80 million would be recycled while many of the others still had potential to be refurbished and redeployed. A big problem is that mobile phones contain toxic materials that pose a threat to the environment to need to be kept out of landfills. To solve that, the ecoATM was born. 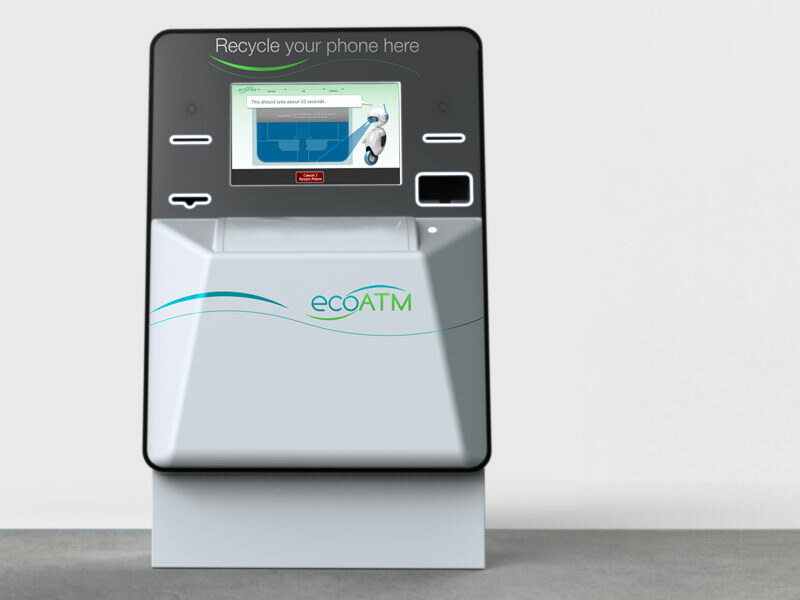 The design for the ecoATM kiosk needed to be automated, consumer-friendly, fit into any environment, and be able to accept a variety of old devices including cell phones and music devices. 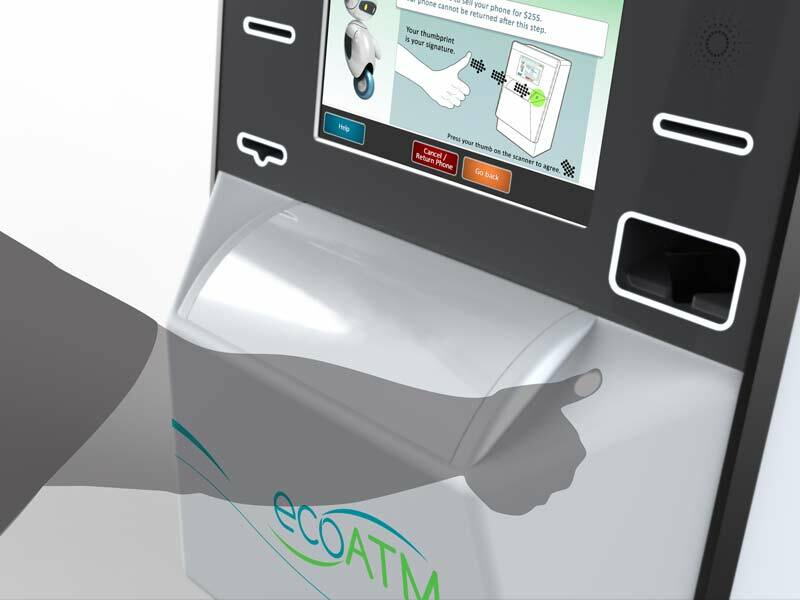 Since a mobile user might only use the ecoATM every two years, and they could be deployed virtually anywhere in the world, the interaction with the kiosk needed to be intuitive for all users across all demographics. 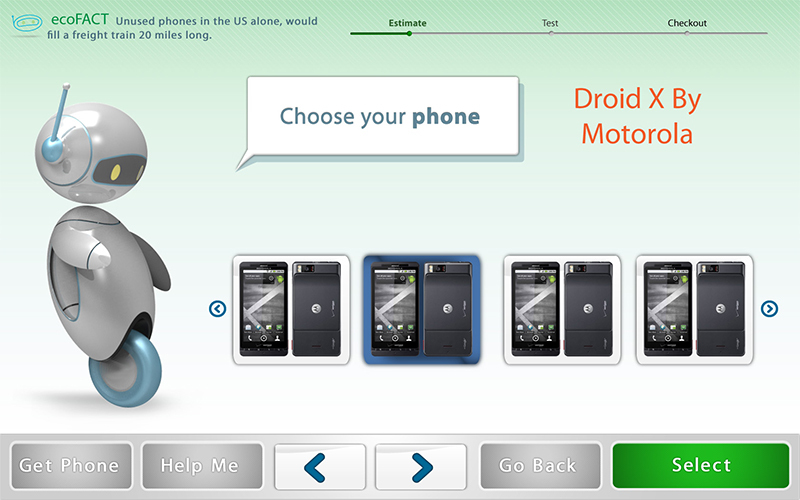 Our seamless unification of GUI with tactile finance areas encourages a cohesive journey from placing a phone into the tray through collecting the cash or donating it to charity. As a start-up, it was important for the product have maximum market impact while delivering on time and maintaining tight control over development and manufacturing costs. We integrated our approach with D&K Engineering, who completed detailed specifications, internal mechanism development and contract manufacturing. DDSTUDIO created a vibrant visual brand language, both physical and virtual. The expanded teams were able to exercise control over the integration, with internal complexity allowing external simplicity. Together, we combined design and engineering in the service of customer engagement. The second-generation ecoATM is an exceptional incorporation of physical product and GUI, guiding the customer through a transaction in record time. The bot guides the user with simple logic linked to entertainment, presenting a far more complex operation than other kiosks at a fun and intuitive level. You would be surprised what turns up in the ecoATM—some real museum pieces have been discovered. In fact, ecoATM CEO and founder, Mark Bowles, built a landmark phone shrine with the pieces he finds. Alongside all the iPhone 3’s that get reused, there are many flip phones with salvageable materials for recycling. 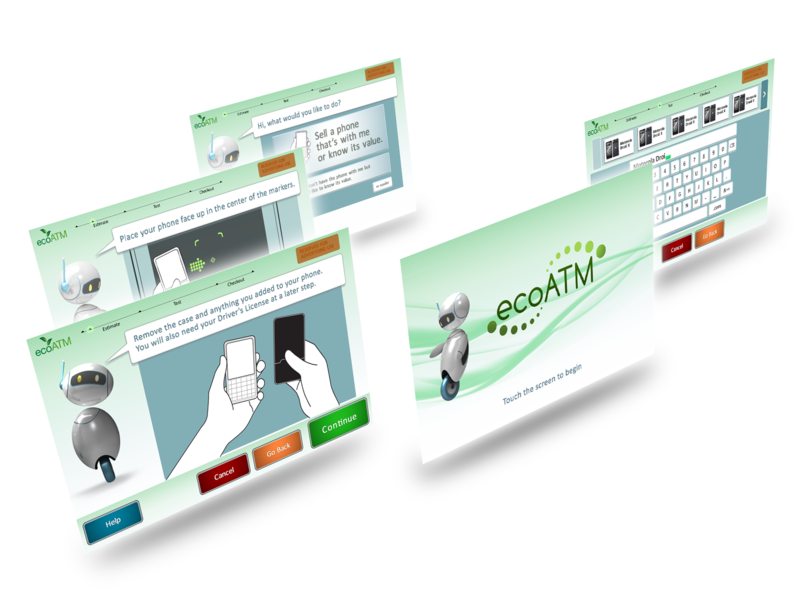 In 2013, just five years after inception, ecoATM inked a deal to be acquired by Outerwall, formerly Coinstar to support the growing global demand for refurbished products and mobile devices.